Wanting to build a garden with the romance of Tuscany, the Greek islands or the south of France? 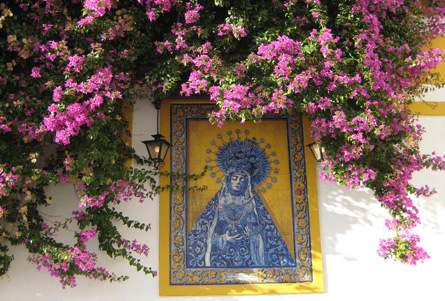 Or does a Moorish, Spanish mission or colonial revival style appeal? They're each different, but the hot, dry summers of the Mediterranean have left a mark on all these design styles. 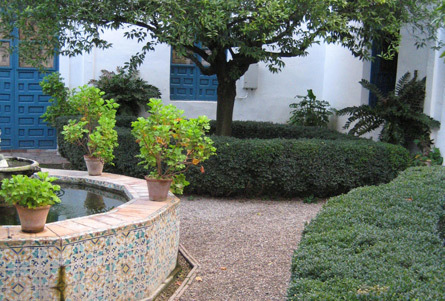 Gardens are often cloistered within intimate sunbaked courtyards, with shade under covered arcades or pergolas. A strong axial symmetry often centres on a simple, cooling water feature. The backdrop is earthy stone, terracotta and adobe; sometimes stuccoed or whitewashed with trims brightly painted in colours of the sea. Colourful ceramic tiles or mosaics might be used for decorative accents, with classical statues or rustic objects like olive jars for ornaments. Without much summer rain for lawns, these gardens usually have paved or gravelled surfaces instead. Many of the plants used are adapted to the dry conditions with reflective silver-grey foliage and fine, furry or prickly leaves that conserve water. Evergreen shrubs are clipped into hedges, and strategically-placed topiary shapes or conifers add an occasional formal element to the landscape. Balcony pots and window boxes have plants with vivid flowers that contrast against the earthy walls and cut through the intense summer light. The scents of flowers, herbs and fragrant vines on pergolas hang heavily on the hot air, while exotic palms reinforce the idea of the garden as an oasis from the heat. Precious water is invested in fruit and vegetables. 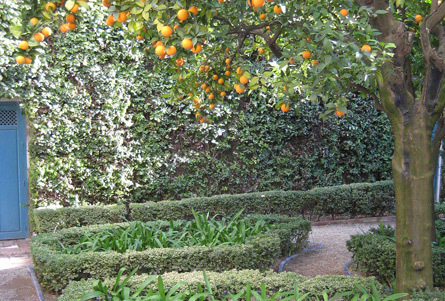 Stone fruit, olives, nuts, grapes and citrus - often in large tubs - are typical produce from mediterranean style gardens. If your garden has any one of these themes, limit your search to "mediterranean" in the design style section of the Plant This Plant Selector. Research what grass will work for your garden, it can save water, your time and a whole lot of frustration.